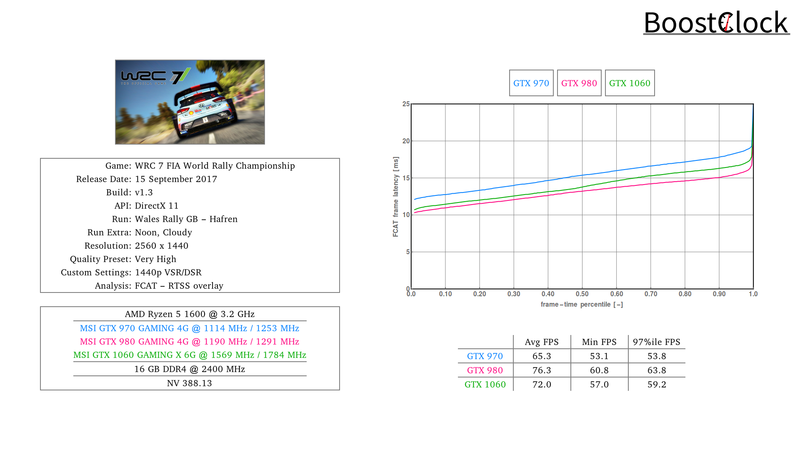 Elfyn Evans claimed his maiden WRC victory in Wales last week so we jumped behind a DMACK-shod Ford Fiesta RS WRC in WRC 7 for a quick ride around the Welsh countryside with the GTX 970 / GTX 980 / GTX 1060 dGPUs. Bigben Interactive has upped the visuals considerably - stages looks more detailed, view distances are much greater than in the previous iteration. 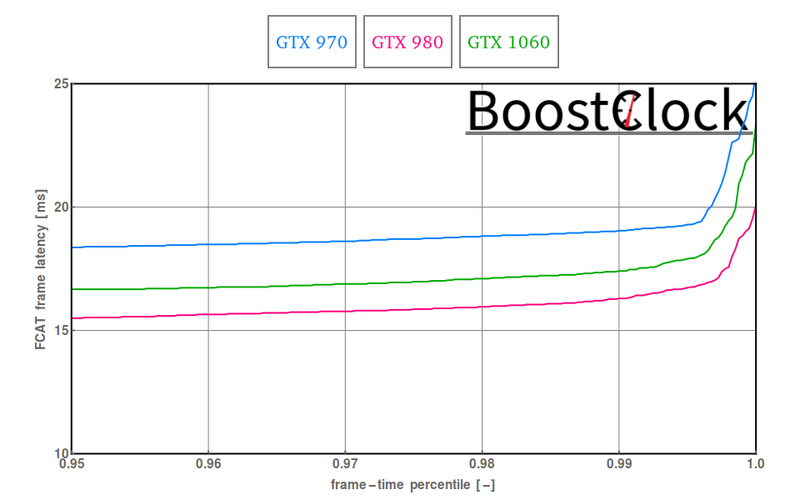 As a results 1440p with Very High preset was used. 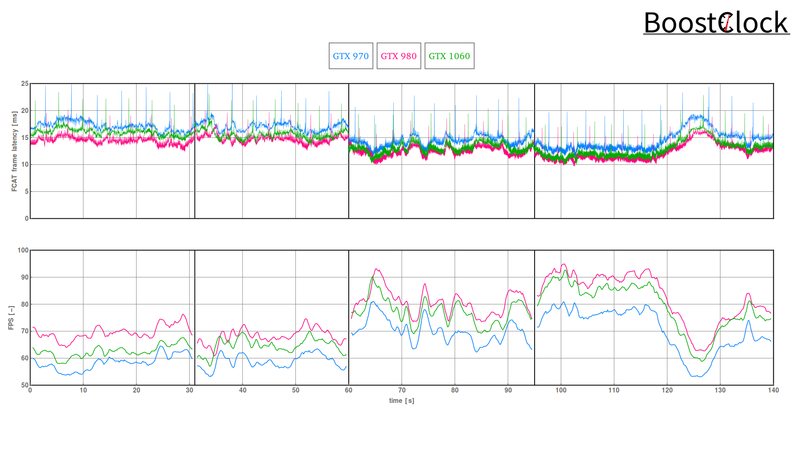 The cards perform as expected, frame times are near perfect, but for some weird spikes throughout the runs.